While this new feature has crated a quite a lot of buzz, everyone wants to know how this feature works? 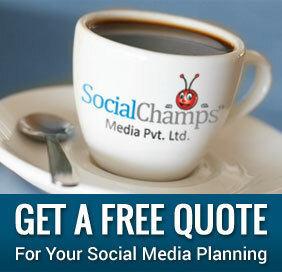 Lead Generation Card is applicable for promoted tweets only as its for advertisement. 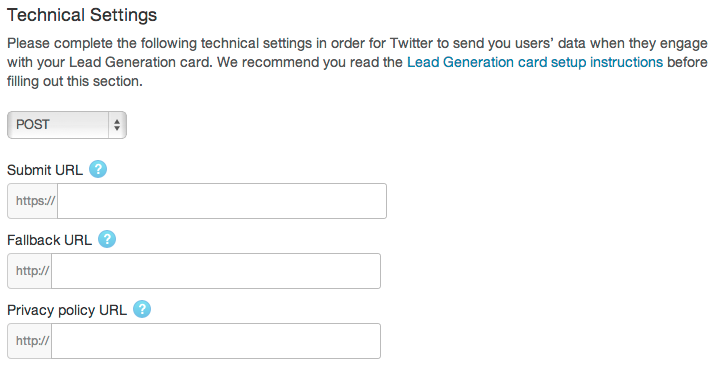 Follow the below tutorial to setup your lead generation card for twitter. How can I set up Lead Generation Card for one of my Promoted Tweets? STEP 1 – Set up a CRM end point integration. 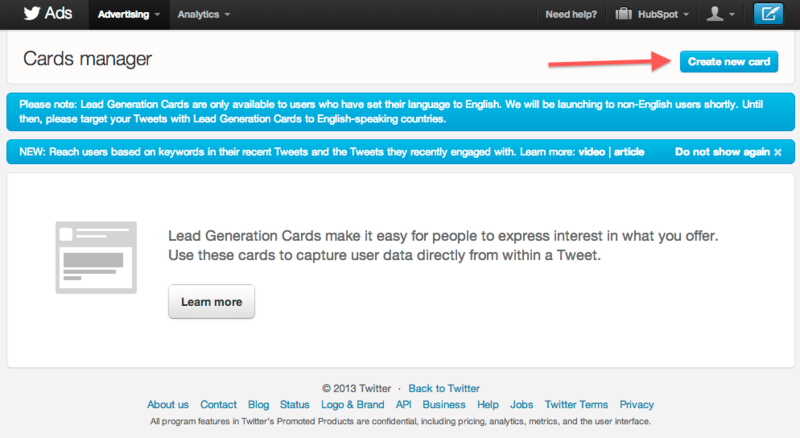 The first time you want to collect information through Twitter Cards, you need to set up an end point integration. This will allow you keep track of your Twitter leads from Lead Generation Cards within your Customer Relationship Management (CRM). Twitter has a whole list of CRMs that will work with Lead Generation Cards. Once you have the CRM integration set up, you can create your Cards. Unlike creating other types of Twitter Cards, you would not need to make changes to the HTML or CSS on your website for the Lead Generation Card to appear. STEP 2 – Create a new Card. Go to the Twitter Advertising Interface, located in the drop-down menu in the top right corner of your homepage screen. On that page, click the “Create New Card” button in the top right. STEP 3 – Create content for the Card. Card Image: Choose a compelling and attractive image that Twitter users will certainly click on. Image cannot be larger than 1 MB. It should maintain a minimum of a 4:1 aspect ratio, and is at least 600px wide. Short Description: A sentence about why your offer is so great. It should not be longer than 80 characters. Call-to-Action (CTA): You can specify the text on the CTA button at the bottom of the Lead Generation Card. Ensure that the text is action-oriented. Use attractive language that would entice the person. STEP 4 – Set Technical Settings. 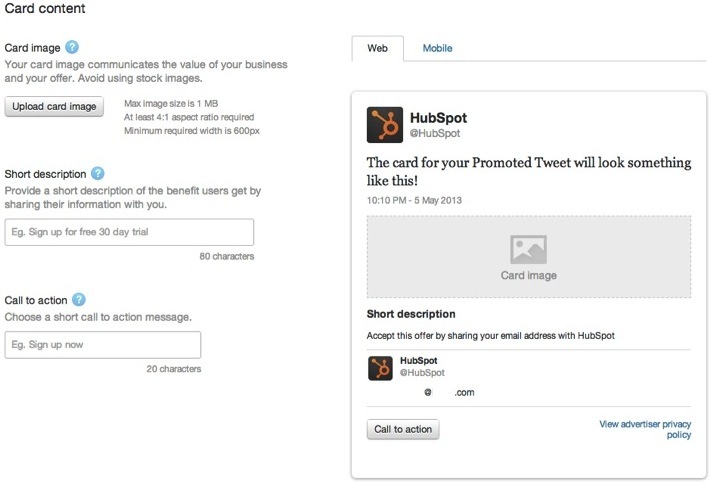 POST/GET Dropdown: This is how the information is sent from Twitter to your CRM. POST sends information to your server. GET retrieves it. If you are not sure which to choose, check with your development team or a technology-fluent friend for a little guidance. Submit URL: This is the URL your leads are submitted to. It should be the endpoint to your CRM system. Fallback URL: If users click through on a Lead Generation Twitter Card on a non-supported platform, they will be taken to this link. This is a good idea to make this a landing page so you still have another opportunity to convert the visitor into a lead. If you are collecting sensitive information like credit card or bank account numbers, you must also have a secure server (https://). After filling out the above information, you can customize the user information fields to match up with your CRM field. For example, Twitter may automatically label emails as “Email Address,” whereas you may label emails as “Email” in your CRM. To make sure the Twitter leads are properly registered and organized within your CRM, do double check the key names. After you are done, click “Create Card” and you are ready to start promoting your Lead Generation Card! Run a campaign to get your Lead Generation Card in front of Twitter users and start collecting leads. Can I use Lead Generation Card with Mail Chimp? Sure! There is a simple procedure for that as well. We will show you the procedure in our next blog post. Do you find the procedure of creating Lead Generation Card easy? What do you wish to promote on Twitter now? Share your feedback.